As reflected in the FBI’s Uniform Crime Report [UCR], a person charged with arson is someone who willfully or maliciously burns or attempt to burns, any dwelling, public building, motor vehicle or aircraft, and/or the personal property of another—with or without an intent to defraud. 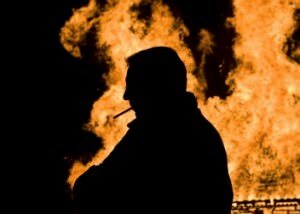 The Bureau of Alcohol, Tobacco, Firearms and Explosives [ATF] describes arson as an insidious crime that claims the lives of hundreds of Americans each year costing billions of dollars. Conducting research, understanding scientific principles associated with fire ignition, including its ability to grow and spread, ATF states is a crucial component of the agency’s mission, enabling agents and prosecutors to reconstruct fire scenes and develop valid theories of prosecution. Located in Beltsville, Maryland, the ATF Fire Research Laboratory has been called the worlds’s foremost authority on fire science, dedicated to conducting fire scene investigations. Completed in 2003, the ATF Fire Research Laboratory enables fire service professionals and law enforcement, private industry and members of academia to combat arson using scientific principles, technology and training to better serve and protect the public. In 2013, the FBI’s UCR said law enforcement agencies reported approximately 38,000 arson related incidents with 46-percent of the crimes involving a residential, storage, or public structure; 24-percent involving a mobile property; and 30-percent involving crops, timber and fences. The UCR also indicated the average dollar loss per fire totaled in excess of $14,000 and losses involving an industrial or manufacturing structure totaled in excess of $126,000. Directory members can be extremely helpful to anyone seeking information and/or requiring a professional opinion concerning an arson related investigation. Looking for an expert, using the website’s search feature, entering the appropriate skill, issue, or need, and/or geographical area, visitors can make contact with an FBI specialist using the information provided. Retired FBI Agents and Analysts with a background conducting arson investigations, interested in securing a Directory listing and/or a personal email address, should submit an online application requesting membership.